Why settle for a regular frosting-covered cake, when you could have one shaped like the Millennium Falcon? 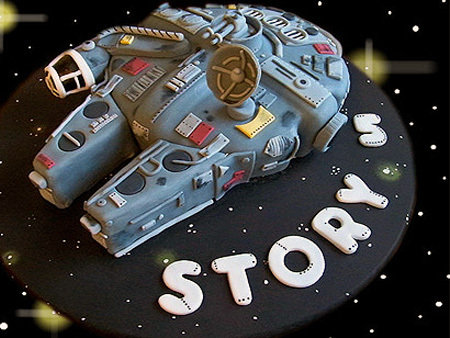 Thanks to the creative minds of geeky bakers, that cake and more are now possible. Click here for more pictures.